AKTAU, Kazakhstan –The leaders of Azerbaijan, Iran, Kazakhstan, Russia and Turkmenistan are meeting in the Kazakh port city of Aktau on Sunday to sign a landmark deal on the Caspian Sea. Here are five facts about the inland sea whose legal status has been the subject of fraught negotiations for over two decades since the Soviet Union's collapse. The Caspian is the largest inland body of water in the world. With around 70,000 cubic kilometres (16,800 cubic miles) of water, it is bigger by volume than both the North and Baltic seas. The region's countries have long disputed whether the Caspian is a sea or a lake, which carries legal consequences. No rivers flow out of it and it is surrounded by land which means it is technically closer to being a lake. The new draft agreement calls it a sea while Russia said the provisions give it a special legal status. One of the reasons the Caspian has been contested so fiercely by the five littoral states is its abundance of hydrocarbon reserves. 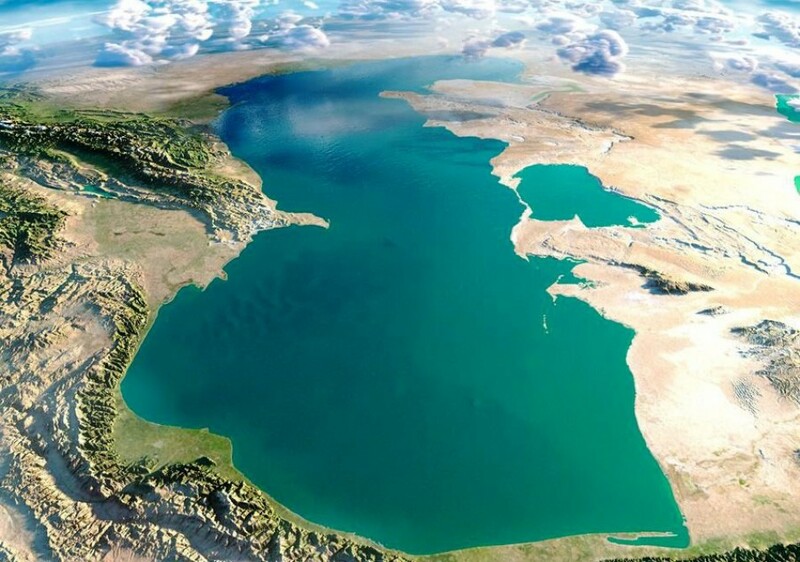 According to the US Energy Information Administration's latest estimate in 2012 there were 48 billion barrels of oil and 292 trillion cubic feet (8.3 trillion cubic metres) of natural gas in proved and probable reserves in the Caspian Sea's basins and its surrounding area. The Caspian's largest oil field, Kazakhstan's Kashagan, has 13 billion barrels of recoverable reserves and is the biggest offshore oil and gas find since it was discovered in 2000. Extracting the hydrocarbons from the water and on to the market has not always been easy though, and delays to the Kashagan project have led to it being nicknamed "cash all gone". As home to the world's largest stocks of the giant Beluga sturgeon fish, the Caspian is also an important source of one of the world's priciest delicacies -- caviar. The most expensive Caspian caviar comes from the eggs of the rare albino sturgeon found in its southern waters, but environmental campaigners warn that sturgeon stocks are being overfished, and hope the new agreement will boost preservation efforts. According to Guinness World Records, a kilogramme of the costliest caviar from albino sturgeon off the coast of Iran regularly fetches over $25,000. The scummy coastlines and choppy waters of the Caspian might not seem ideal tourism attractions, but for citizens of landlocked Turkmenistan and Azerbaijan they provide the best local beach holiday. Both countries have invested heavily in Caspian tourism, mainly oriented towards the local market. Nevertheless, there are doubts about how safe some areas are for swimming due to extensive pollution from the oil sector and other industrial waste. In recent years, authorities in Azerbaijan and Russia's Dagestan region have declared a number of beaches unsafe for swimming but many bathers continue to take the risk. British author C.S. Lewis named a seafaring prince Caspian in his popular Chronicles of Narnia series for children and although the connection is not proven, the books have many nods to languages and cultures dominant in the region. Among these is the lion Aslan, whose name is derived from the word for "lion" in several Turkic languages including Azeri and Turkmen.